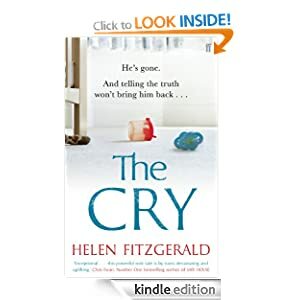 I’m so chuffed with the response to The Cry so far. It’s the daily deal in Kindle today if you’d like a read. 99p in the UK. – The Herald: ‘It’s a book you find yourself greedily gulping down.’ Interview here. – Book Oxygen: ‘Plenty of twists to keep us guessing… FitzGerald picks just the right small physical details to skewer each agonizing moment. ~ by helenfitzgerald on October 1, 2013. It is great! thanks for sharing this one, so kind of you.